Want to contribute an article to one of the most valuable Digital marketing communities in the world? 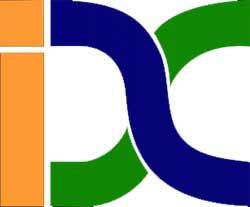 Indian Digital Club (IDC) is one of India’s largest online integrated communities for current and aspiring digital marketing professionals. It’s your free online hub for learning, discussing industry-related news, and networking. Apart from being a vibrant community. At the moment, the group counts more than 5,000 + active members organically grown and is the perfect place for learning, discussing digital marketing news, and networking. So far, we’ve welcomed top-notch 10 digital marketing experts & high-tech professionals who love sharing tips and tricks to help you grow as a professional and their counts are already increasing on per day basis. By leveraging our active and engaging community, you can facilitate conversations with potential customers, employees, influencers and/or brand ambassadors. No matter whatever is your query, there is always a dedicated team of experts who reverts back to your query that acts as a source of guiding light that can be implemented upon. Our community is heavily moderated and will only convey you the most valuable content, anytime, anywhere. It can do wonders for your search engine optimization, be a great way to get exposed to a brand new audience, help you improve your thought leadership, and better establish you as an expert in your industry. We now accept the guest post and our Blog is open for Guest Bloggers. Publishing Guest post can help you improve your Blog or Website. You will get some Powerful Backlinks from here and some traffic from here if you write a guest post on this blog. You can submit the post for any topic related to SEO, Social Media, Blogging Tips, Internet Marketing etc which would be informative and useful to users on the web and your Article must be unique and original content. Your Article must be Good-formatted and SEO-rich. You can do Guest Blogging here and you can add two Anchor Text in your post (Do-Follow Links). Your Article must be without affiliate links. The length of the article should be nearing 500 words or more. Send the article in a word document with the text links. Use only licensed images or if it is under Creative Commons, do send us the image link and author. Do send a short author bio (max 50 words) in which you can put in a link too. Don’t forget to reply to the reader comments on your post. After review, we will immediately publish your post. Note: Don’t forget to tell a short description about you which would be added at the end of the post as author bio. Will, there be any backlink to a website, let me know that as well.